Amaretti are a classic Italian cookie from the Lombardy region of Italy. 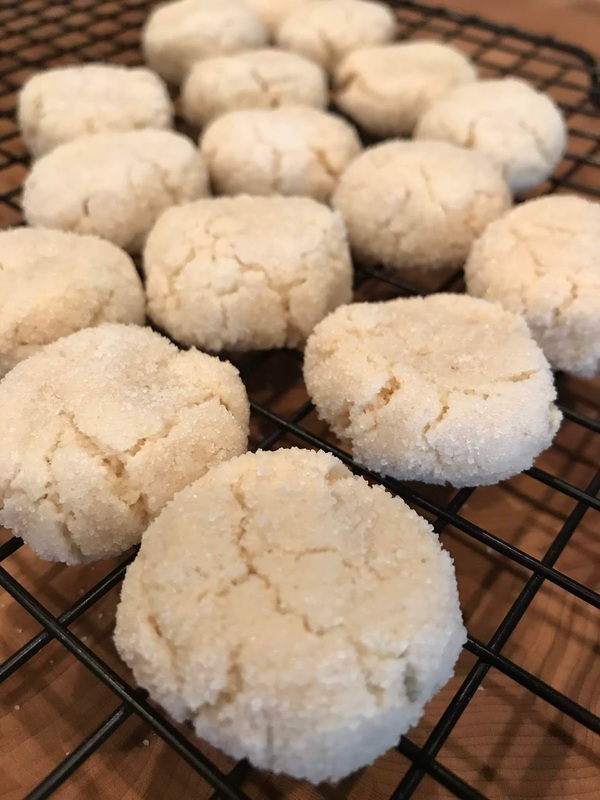 These almond forward treats are shaped into balls and rolled in sugar before baking: giving them a sweet, slightly crunchy exterior while the inside remains soft. Ameretti cookies are easy to make and utterly delicious. Preheat the oven to 325 and line a baking sheet with parchment paper. Beat egg whites until they form stiff peaks. Fold in the rest of the ingredients by hand. Wet your hands to keep the dough from sticking and roll the dough into small balls. You can re-wet your hands as needed. Roll the balls into the extra sugar. Place on the baking sheet and gently press down the top. Cook for 20-25 mins. These cookies look amazing for our Christmas dessert! Thank you so much for the recipe! I cannot wait to make them! !